Your home for the week will be at Casa Brava Havana--which is located in Old Havana. Our program fits all levels of people. Much more than a cooking school--its a window into the past--a look inside a culture not yet fully opened to the world. Class sizes range from 8 - 10 people. $3950 per person for our 6-night 7-day all-inclusive program, based on double occupancy. There is an extra fee of $400 for a single room. 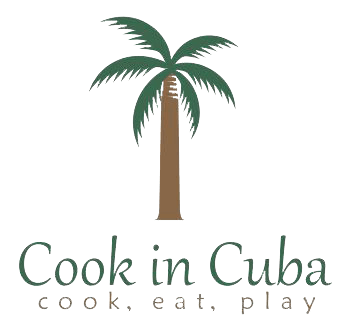 Cost includes 6 nights at Casa Brava Havana in Havana, hands on cooking classes, all meals, wine, beer, receptions, excursions, tours, bus tours, and all gratuities. In other words...you pay for "nothing" once you arrive here and are with the group--except for your souvenirs! Airfare is not included. We accept checks and credit cards. $500 required at the time of booking. The balance is due 120 days before start of the program. 90 days before start of program you will unfortunately forfeit 100% of your payment. BUT… if you do not cancel, and only want to change your date and notify us of this change before your arrival date, we can change this for you without any charge--assuming we have availability (time restrictions apply).